Powerful, reliable and flexible disk encryption program. Hide your programs and data, and exclusively restrict access to them. 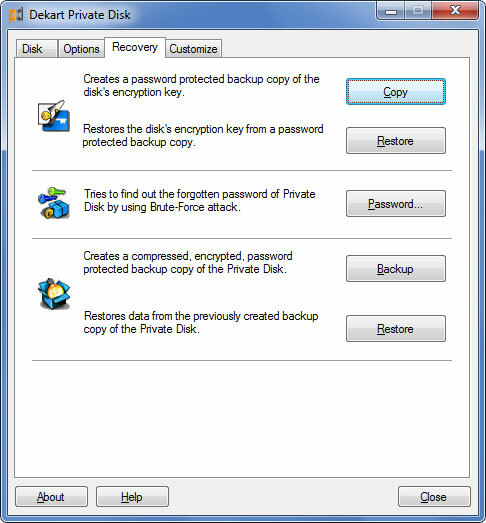 Private Disk shields files from viruses and malware even if your antivirus or antispyware program fails to protect the system. Your data are truly portable - you can encrypt your information on USB drives, CDs, DVDs and work with the protected files on any computer without having to install the software locally.